Time is running out for competitors to register their entries for Am Mòd Nàiseanta Rìoghail 2018, to be held in Dunoon this year. However, An Comunn Gàidhealach have announced that the entry deadline will now be extended to the 13th July, meaning that competitors wishing to compete at this year’s Mòd now have an extra 11 days to register their entries. ​Please click here to view a draft version of this year’s Royal National Mòd Programme. Please note that this is only a draft and will be subject to changes. 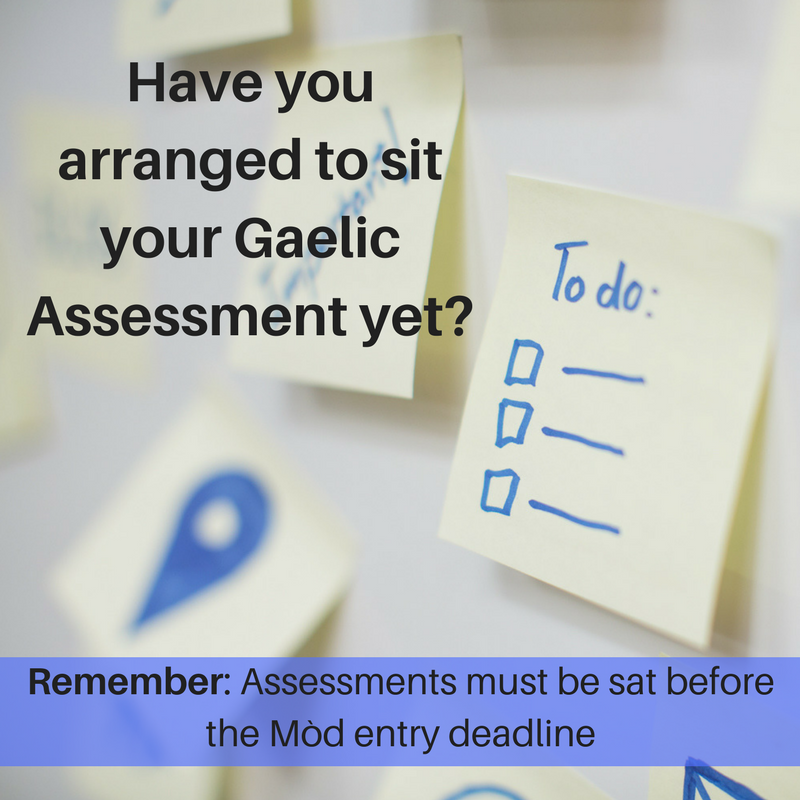 ​Please get in touch with Seonag Anderson if you still need to arrange a Gaelic Assessment. Remember, assessments need to be done before the entry deadline (2nd July).